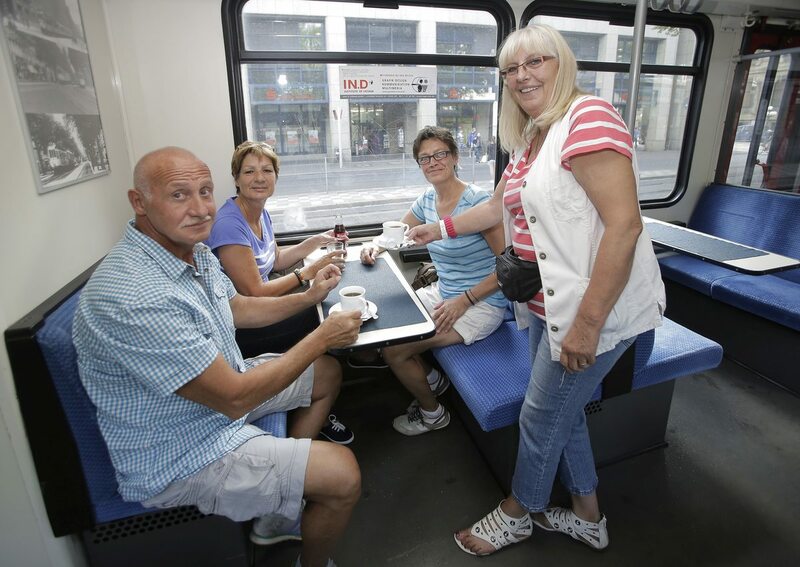 Until 2014, you could have coffee and light breakfast on one of the tram lines in Düsseldorf, Germany. Unfortunately they have discontinued this long tradition since, for the last two years, no new business partner could be found. 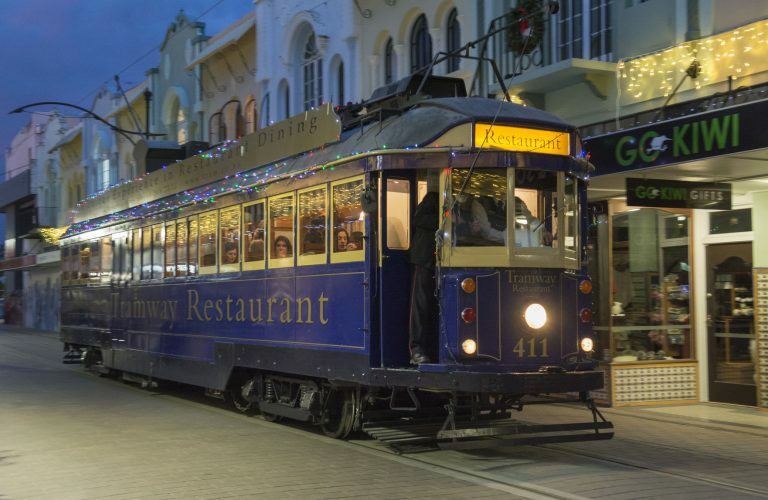 Are there any other cities with such regular tram bistro service, e.g., daily or on the weekend, and scheduled throughout the entire year, not just as a special tour? 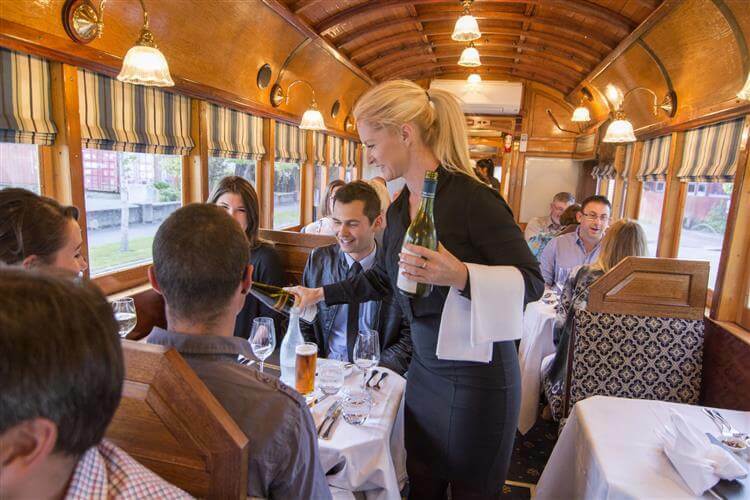 Colonial Tramcar Restaurant in Melbourne, Australia, three seatings per day every day. SpåraKoff in Helsinki, Finland, operates hourly in the afternoons during the summer season (May-September). More of a pub though, no food on offer. Zürich has a gourmet tram line. The food is seasonal (for example Fondue in the winter), and the food on offer is more 3-course-meal than coffee and small breakfast, which is reflected in the price too. 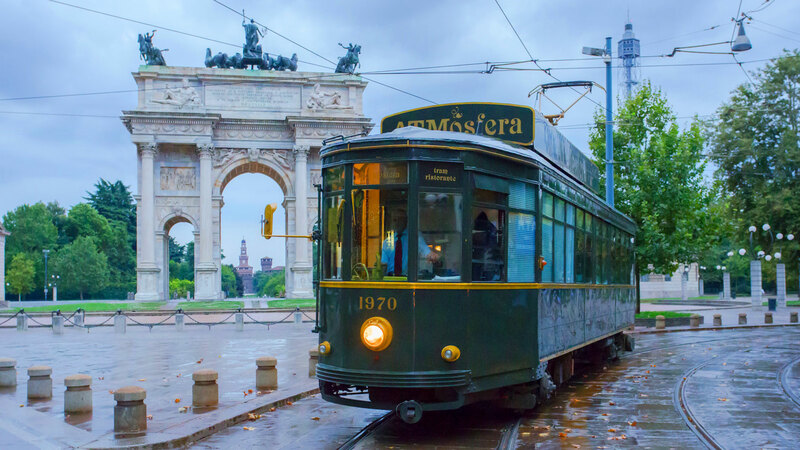 Tram ATMosfera drives on a daily basis for dinner. I hope you are ok with that. 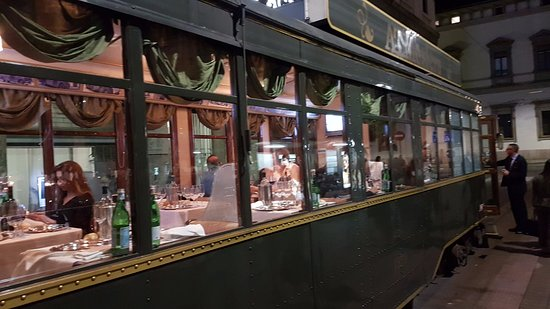 Company uses a historical rolling stock, adapted as a restaurant car. 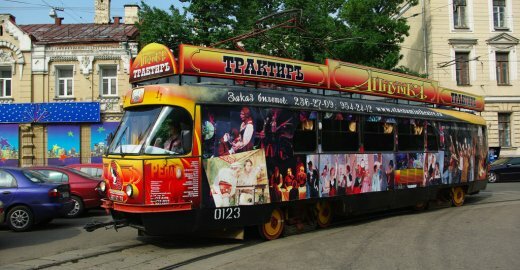 Some of the cars on Аннушка (Annushka) route of Moscow tram are restaurant cars. In Frankfurt am Main exists the Äbbelwoi Express. Not exactly a bistro, but serves the very local kind of cider. It runs through most of the famous parts of the city. Christchurch has some loops of tram track which are for tourism purposes, not for general-purpose public transportation. Meal is a four course meal with drinks before and tea/coffee to finish. The tram is Melbourne #411, built in 1927 and ran till 1982. Refurbed in 1999 and started service in 2000 in Christchurch. At $109 NZ /person in 2018 its definitely not a snack, and the whole meal takes about 2.5 hours over several orbits of the track. 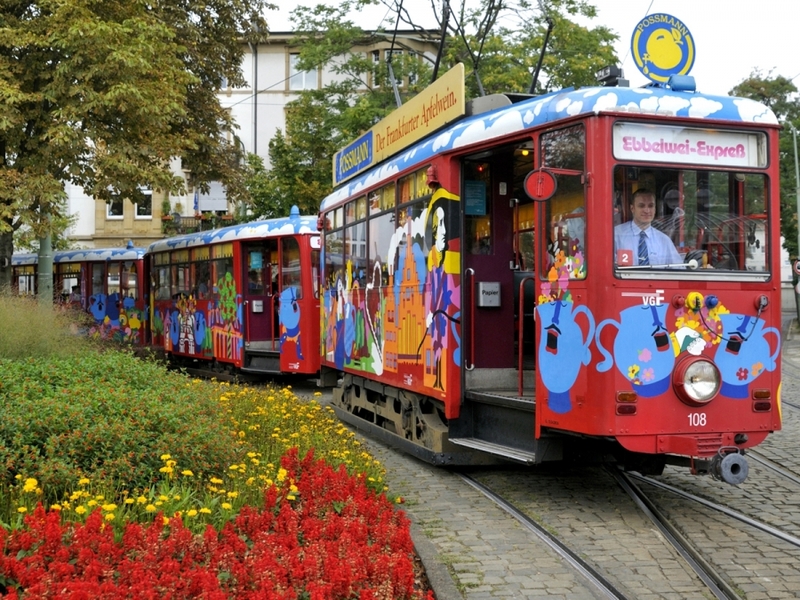 There is also a regular daily service in Brussels the so-called Tram Experience. Well strictly speaking not daily as it does not run on Mondays. This is not a light breakfast, it is an evening meal catered by gourmet chefs. I have never used it so cannot say what the food is like. Not the answer you're looking for? Browse other questions tagged public-transport food-and-drink sightseeing restaurants or ask your own question. In the Loire Valley, are there any “arty” caves that can be visited? Are there “Doctor Who” themed tourist attractions in the UK? When the Edinburgh tram isn't running, is there an official alternative from the airport? What is a continental breakfast and what other types of breakfasts are there?